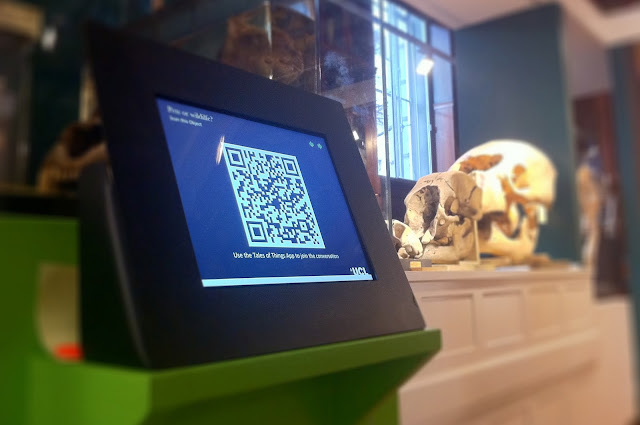 QRator was developed with the Centre for Digital Humanities (thanks to Claire Ross), UCL Museums and in-house here in CASA (thanks to Steven Gray) with the idea behind digital signage linked to our wider project Tales of Things. The system goes live in beta tomorrow before a formal launch Thursday, we will have full details soon…. How I wish American museums will also do the same. It’s cool! The users generating content out of the museum it is a really attractive idea, but also the idea of generating content out of the walls of the museum using hypertext.